Emergencies on the road are part of life, but one way to avoid them is through proper preparing and planning before you start your commute. With the Easter holiday coming up, we’ve put together a list of how you can avoid these unexpected challenges. The easiest and most efficient way to avoid any tyres problems on the road is to do a pre-trip check on the condition and inflation on all tyres, as well as your spare. The last thing you want is to have a blowout on the road, only to find the spare wheel is flat too. Having both the inflation and tread correct protects you from problems while driving. If you’re towing caravans or trailers, you need to pay extra attention to the condition of those tyres as well, and it won’t hurt having them checked out by an expert. Don’t forget to save the number of your insurer on your phone for quick assistance. With the condition of the roads these days, and the number of potholes we see as often as we do, it is possible to have more than one blowout on your trip. You can’t always rely on GPS on your phone or other devices and not plan your trip, as the risk it too high. Yes, it can help when it comes to avoiding traffic and taking detours, but you simply cannot rely on this technology alone. Should your phone die or if you pass through areas of low signal, you definitely want to know where you are and how to navigate your way out there. To prevent getting lost, educate yourself on your route prior to leaving so that you can have a mental outline of the roads and routes you will be taking. Also take into consideration where you will be stopping on the way, so you don’t need to deter too much for your main route for petrol stations and more. As an extra safety precaution, it is not a bad idea to let a family member know where you are going and when you have arrived so they can take action should something happen. Crashes, be it small fender benders or serious accidents, are not something that you plan for or even want to think about when on your trip. But if worst comes to worst and you are unconscious and cannot handle the situation, you need to ensure that whoever comes to help has access to everything they need. Keep identification documents and medical aid details on a card and somewhere in easy reach like on your sun visor or on your windscreen, also make sure you have a small first aid kit in your cubby hole. 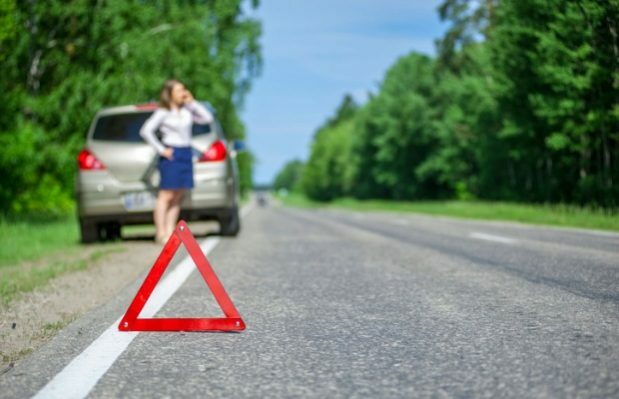 We never want to consider that these accidents might occur, but being prepared can make a huge difference to how the situation is handled and for your safety.